Offset teased his upcoming solo album by slipping in some graphic footage of Cardi B giving birth, and people aren’t holding back thoughts. On top of making this face every time the camera cut to him during Cardi’s performance, doddering up to stand next to her onstage as she accepted her Best Rap Album win, and inserting himself into every photograph taken of Cardi, the Migos rapper’s promo was…a lot. The 45-second video intercuts clips of the rapper in the studio with clips his three children from previous marriages. Edited in towards the end is graphic footage of Cardi giving birth back in July. Doctors surround Cardi, in obvious labor pain in the delivery room. The trailer ends with a zoom on Offset’s shocked face before revealing the album’s release date, February 22nd. The clip keeps with the family theme of the promo, but many on Twitter wondered how necessary it was. Who thought that this was a good idea? 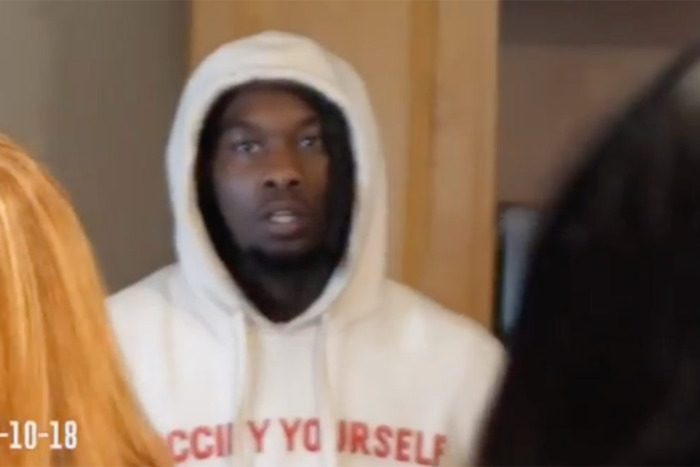 No matter what you thought of the promo, you undoubtedly came away from it with the same expression as everyone else—Offset’s.